ASUS ZenFone 4 Max Lite now official in the Philippines at Php 7,995. Asus Zenfone 4 Max Lite is now official as the company announced the handset's availability in it's Facebook page. 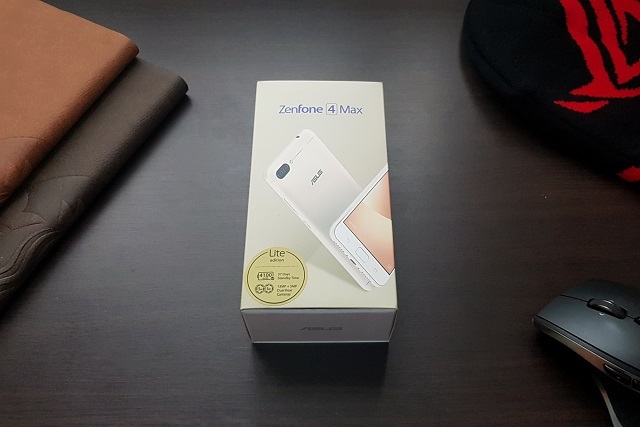 The handset is pegged as the little brother of the popular Zenfone 4 Max. It may come with a "Lite" moniker but the Zenfone 4 Max Lite is nothing short in terms of battery rating and rear camera configuration. The handset sports a capable 5.2-inch HD display with 720 x 1280p resolution; and is powered by a Qualcomm Snapdragon 425 SoC. The latter features a 1.4GHz quad-core processor and Adreno 308 GPU. The chipset is also coupled with 2GB of RAM. In terms of the camera, the ASUS Zenfone 4 Max Lite boasts a dual rear camera module, 13MP + 5MP with autofocus and LED flash; while the selfie camera is an 8MP affair for better social media selfies. The ZF4 Max Lite also packs 16GB native storage which is expandable up to 256GB via microSD card. The ASUS Zenfone 4 Max Lite is a polycarbonate handset which touts a front-mounted fingerprint sesor. Its marquee feature is the 4100 mAh battery which could definitely power most of your daily smartphone activities. It is also worth-noting that it supports fast charging. The ASUS Zenfone 4 Max Lite is only priced at Php 7,995 and is now available in your favorite stores nationwide. Check our Review of the ASUS ZenFone Max Lite.